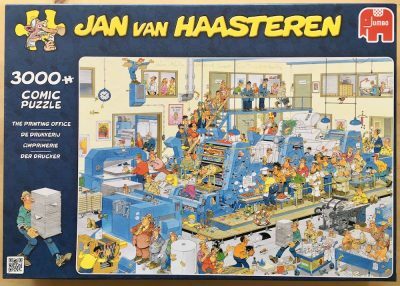 This is an excellent puzzle by Jumbo with one of the graphic works by Maurits Cornelis Escher. 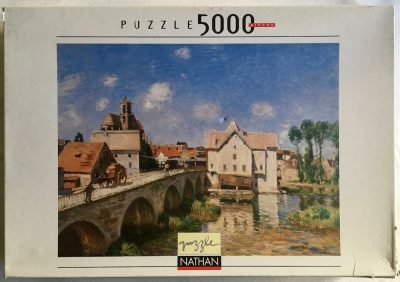 His works are receiving increasing interest among jigsaw puzzle fans. The title of this painting is Reptiles. 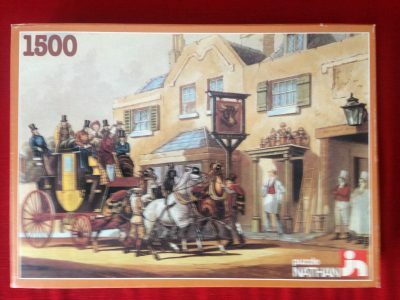 There is a similar 1000 pieces version of this puzzle by the Italian brand Selegiochi. Puzzle size: 68 x 49 cm. Box size: 36.5 x 27 x 6.2 cm.